The City Council for Yakima, Washington has agreed to reconsider the city’s year old pit bull ban. Yakima is one of the largest cities in Eastern Washington; it is in the heart of the state’s wine country. But what tourists and even its own citizens may not realize is that hundreds of thousands of tourist and tax dollars over 26 years have been spent trying to keep pit bull dogs out of the city. The ordinance banning pit bulls actually targets any dog “which contains as an element of its breeding the breed of American pit bull terrier, Staffordshire bull terrier, American bulldog or American Staffordshire terrier so as to be identifiable as partially of [one of those]…breed[s]“. Yakima Code 6.18.010. That means a dog is banned if an animal control officer thinks he has some features of a pit bull. The ordinance allows an owner a one time 48 hour period to remove the dog from Yakima if animal control issues a notice that the dog is a pit bull kept in the city in violation of the law. Yakima Code ch. 68. But people cannot look at a dog and determine his or her breed. Recently, in Denver Dr. Victoria Voith did a little test on animal shelter directors, dog trainers and others who work with dogs. They were asked to view 20 dogs on a videotape and identify each one by breed including whether the dog was a purebred or a mix. The professionals were surprised by how few dogs they identified correctly by breed. Voith believes as many as 75% of the pit bull identifications made by shelter workers, animal control or law enforcement are wrong. She is the author of Shelter Medicine: A Comparison of Visual and DNA Identifications of BREEDS of Dogs. As DNA testing becomes more reliable, it is proving that many of the dogs identified as pit bull are actually a mix of dozens of breeds with little or none of the DNA of pit bull type dogs. That means a lot of dogs condemned by breed bans are not even “pit bull” breeds. A number of states actually prohibit breed discrimination. There is not one major animal or health organization including the American Veterinary Medical Association, the Centers for Disease Control, among many others, that supports breed discrimination. Breed discriminatory legislation does not work to make communities safe. Study after study has proven this. Dogs don’t bite because of breed or appearance; they bite out of fear that could have been the result of poor socialization, neglect, abuse, tethering or confinement or isolation. In other words, it is the owner or caretaker’s negligent or criminal actions that are responsible, not the dog’s breed or appearance. Studies have shown that breed discrimination in effect for decades in other places such as Denver and Miami-Dade County have not worked to keep communities safe. Pit bull bans have only meant the deaths of thousands of innocent pets. In Prince George’s County, Maryland, the cost to enforce a pit bull ban from 2001 to 2002 was at least $560,000. Of the 900 pit bulls euthanized during that time, animal control reported that 720 were nice family pets. Breed discrimination is a very costly negative for a community and state and will create a climate where dogs are viewed as enemies rather than family members requiring proper care, management and love. In Yakima the 4 animal control officers have been required to respond to 128 reports of pit bulls just in 2013 thus far. 37 of the dogs were impounded just because an animal control officer thought they looked to some extent like a pit bull. It makes no sense for a city to spend taxpayer dollars investigating whether a dog may look like a pit bull and then impounding him if he does. 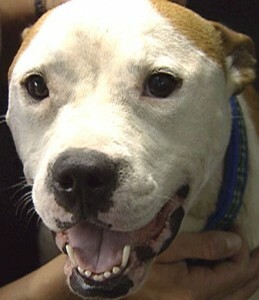 Just last year in 2012 Ohio repealed a long standing law discriminating against pit bull dogs. The state instead adopted laws recognizing that it is the criminal or negligent acts of the owner/caretaker that are responsible for a dog’s behavior. The state recognized that the breed or appearance of a dog is not a predictor of aggression. It is time for Yakima to do the same. If you live in Yakima or can provide information to help persuade the city council and mayor to support a repeal of the pit bull ban, contact city council members and the mayor. Just click on their names at the link for email addresses or call (509) 575-6050. Very informative article. “Voith believes as many as 75% of the pit bull identifications made by shelter workers, animal control or law enforcement are wrong.” – That number is absolutely staggering. I wonder how many dogs have been euthanized because of “how they look” how sickening! Another thing about that is…if a dog does have some “pit bull” type bread in their genetic makeup, why does that mean it’s a bad thing? Genetic testing might save some dogs, but also do more harm by identifying the true pit mixes. Thoughts on this? I try to educate people daily about the issue of BSL, some people (even logical, rational people) are still so fearful of what they have heard in the media about pit bulls or their own past experiences with untrained dogs. I am grateful for websites like yours and I’m going to continue telling everyone I know about the dangers and injustice of BSL. There is still so much work to be done, but I do hear of cities that are repelling BSL laws or preventing them from being enacted. Thanks for posting this! I really hope they will rescind on their judgement. Pit Bull’s have suffered enough bad press, lets give them a chance. I personally have an American Staffordshire Terrier and she is wonderful. Not a mean bone in her body, and is even my Demo Dog for training at the PetSmart I work at. These breeds want to please you so much that they will do anything to make you happy…which is one of the reasons they can get into trouble so easily. I hope they change their minds, and I hope it gets publicized as much as it needs to, to help spread awareness of these amazing dogs. I just wonder how many more dog bites have occurred from weiner dogs, in comparison to a Bully breed? My Pit Bull never bit anyone, but I had a moody weiner dog once, drew blood almost once a day and he was very loved, never injured. What about people? Some statistics show certain races to be more prone to violence or criminal tendencies. If a dog breed is to be banned, are specific races of humans next? Just saying……..
BSL harms everyone. It actually creates problems rather than solves them. 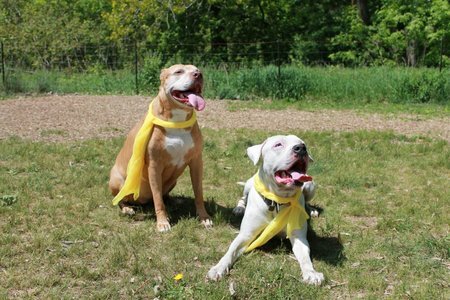 For anyone with a dog that might even look a little bit like a pit bull or pit bull mix, it creates an obstacle to getting them veterinary care (emergency, vaccinations, etc), training, and socialization. For example, boxer and lab mixes are often mistaken for bully breed mixes and just as likely to be caught up in BSL as actual bully breeds. Someone can adopt a puppy and not know what breed/type of dog it is until it is full grown. And even if they do know that it isn’t a bully breed mix, they would still have to fight legally to prove it to animal control to keep from getting their animal taken away. 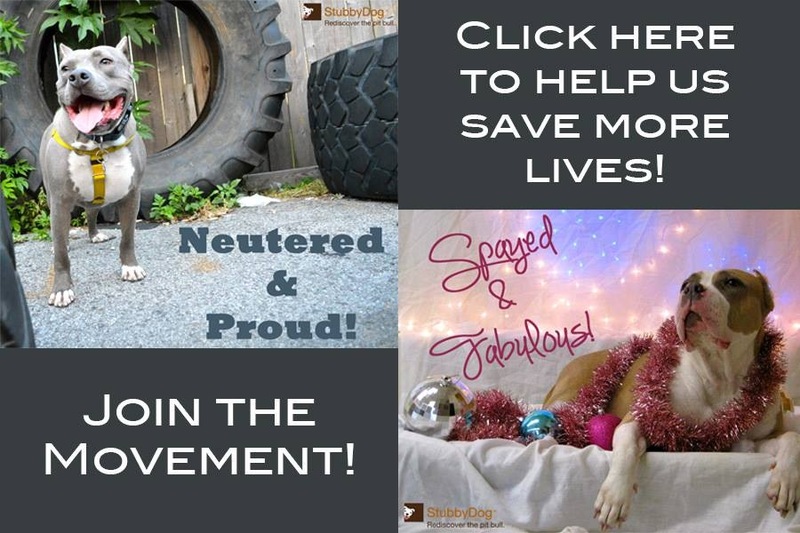 BSL even deters people from getting their animal spayed or neutered out of fear of having their animal taken away, thus creating even more pets that have to be dealt with in the over population explosion. People rightfully fear that their animals will be taken and killed if they seek any kind of professional service for the care of their animal. This only results in untrained, poorly socialized, and unaltered pets, with an increase in the pet population. And this is all done with unlicensed dogs, since even trying to license any dog that might fit the profile is a certain death sentence to them. So all of this based on a false premise that certain breeds are inherently bad–a premise that has been repeatedly debunked by animal experts across the world. Meanwhile, BSL ignores the real problems of pet overpopulation, poor socialization, lack of training, and failure to follow leash laws for ALL dogs in the area, not just a particular breed. How can I show my support and attempt to help lift this law from the city of Yakima? Is the Voith-administered test in Denver available anywhere? It would be great to see the videos and the results. I rescue “pit bulls” and would like to be able to cite to this test as yet another example of how flawed BSL is. Thanks. Check here: https://www.youtube.com/watch?v=rbZ-Ednx934 and try contacting the National Canine Research Council for specifics. The city council of Yakima took the easy way out and kept the pit bull ban in place. I thank the members who fought to have it revisited and spoke on the behalf of us dog lovers. Breed Specific in this case is not specific at all. It is vague and includes many mixes and leaves the judging to people who are not qualified to judge the breed of a dog in the first place. A DNA test is the only legal way to do that. There are many more forward thinking cities to live in and I am taking my Staffy and heading out of town- even though I lived outside city limits where I could legally have her, I don’t want to support a city with discriminatory views.